The one thing I have to say about this book is: Everyone should read it. 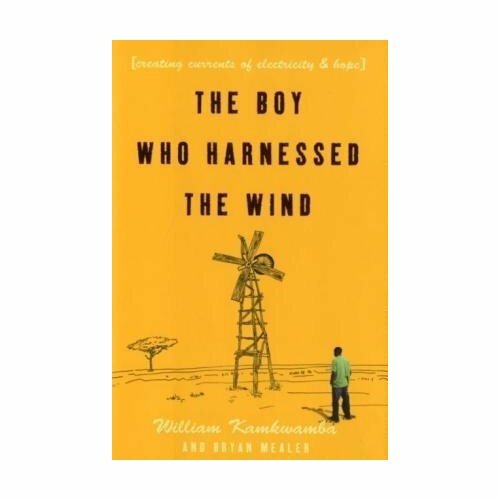 The book itself is about William’s life as a young boy in Malawi, about his family’s life during a very bad famine year, and how William taught himself about physics and electricity and built a windmill to power his family’s radio. William’s efforts grew until he was noticed by a figure on the international stage, and who eventually introduced him to the right people until he received a scholarship to attend University. The second amazing thing about this book is that William discusses famine and living through it as though it’s simply a part of life. He never sensationalizes, never gives off a ‘poor me’ or ‘woe was our family’ or ‘Africa is horrid’ vibe, nothing of the sort. After I read William’s story, I was compelled to pass the book on to the rest of my family. We who live in first-world countries can never truly understand what it means to starve until we’ve either experienced it first hand, or seen it with clear vision through the eyes of someone who actually lived it and survived. William’s story will change the way you look at the world. It’ll pull at your heart and you may find yourself crying out for change, for some way to help these people, and you may ache to do something – anything – to help. There are so many children all over the globe who have so much to offer the world, just like William, but if conditions remain the same… frankly, they’ll all die (and already are) and the world will continue to lose brilliant minds to a thing as stupid and senseless as hunger. Again, I implore you, read this book. 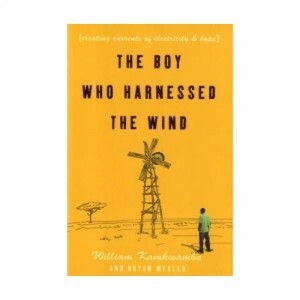 There’s also a website in conjunction with the book where William talks about how he came up with the idea to build the windmill and other sorts of things, and I encourage you to view those as well. This is Willliam’s story, and it’s worth hearing. This entry was posted on Sunday, December 20th, 2009 at 1:06 pm	and is filed under Tasty Tomes. You can follow any responses to this entry through the RSS 2.0 feed. Both comments and pings are currently closed. Okay, okay, you’ve convinced me! It’s going on the TBR list. Sounds like a good read-aloud, too…? Yes, I think it would be good to read aloud — the language is simple enough that it would be easy to follow, and the style of storytelling is, I think, engaging enough to keep one’s attention that way.